Home > Blog > A Slip And Fall Accident At Starbucks In Utah: Who’s Responsible For Your Damages? As Starbucks has recently changed its bathroom policy to be open to all, including non-customers, it is fair to say that even more people will be going to Starbucks not only to grab a cup of latte, but also to answer nature’s calls. That’s right, as more people will be allowed to use Starbucks restrooms in Utah and all across the nation, more people could potentially get hurt in slip and fall accidents. Starbucks is basically becoming a public restroom, which means its toilets are about to get a little more difficult to maintain. “The problem with having a public restroom on your property is that it becomes a breeding ground for slip and fall accidents, as there will be lots of slippery and wet surfaces, and cleaning every 5 minutes is not exactly practical or cost-efficient,” says our Salt Lake City slip and fall accident attorney from the Jardine Law Offices, P.C. 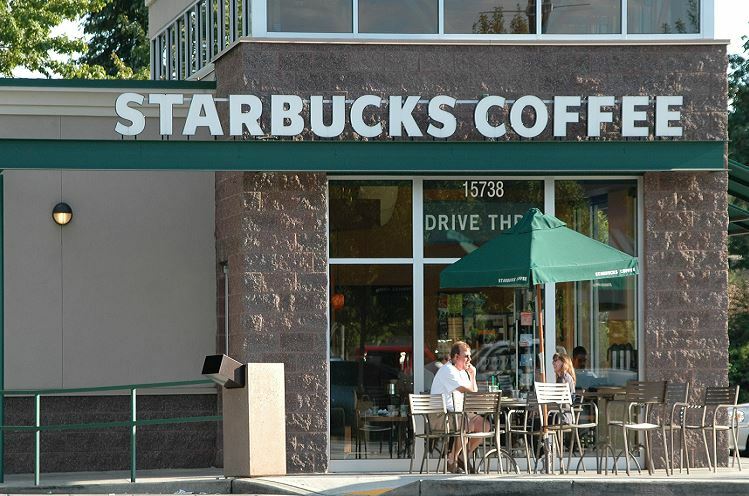 Before Starbucks updated its bathroom policy in May 2018, the coffee chain allowed its employees to decide whether people who have not purchased anything could use the bathroom or not. The updated restroom policy followed a nationwide scandal where two black men were arrested at a Starbucks in Philadelphia after asking to use the bathroom without purchasing anything. In fact, filing a slip and fall claim against Starbucks is not that bizarre. Not long ago, a 51-year-old man was awarded a whopping $7.5 million after he slip and fell at a Starbucks and suffered a brain injury. After purchasing a cup of coffee, the man slip and fell on a freshly mopped area of tile at Starbucks, hitting his head on the floor. After the accident, the man was diagnosed with a concussion, but his medical condition was later upgraded to mild brain trauma, which was accompanied by such symptoms as nausea, fatigue, migraines, all of which made it impossible to return to work and earn a living. The man decided to file a personal injury lawsuit against the Starbucks to sue the chain for the loss of income, loss of earning capacity, as well as brain injury therapy-related medical expenses, among other damages. While Starbucks had initially attempted to settle the man’s lawsuit for as little as $100,000, the amount was deemed unsatisfactory by the injured man and his attorney, who managed to prove with the help of witness testimonies that there was only one “Caution! Wet floor” sign visible to warn of the freshly mopped floor despite Starbucks claiming that there had been multiple such cones placed in the area. “Starbucks’s failure to take proper safety precautions and warn customers of dangerous conditions, such as a slippery and wet floor, allowed the injured man to recover $7.5 million,” explains our experienced slip and fall accident lawyer in Salt Lake City. How to hold Starbucks liable for your injuries? A slip and fall accident is not the only type of accident that could potentially leave you injured at a Starbucks in Salt Lake City or elsewhere in Utah. You do have a right to file a personal injury lawsuit and recover damages if your attorney can establish that the company or its employees were negligent, reckless, or failed take safety precautions to remedy or fix the dangerous condition. Only an experienced lawyer can establish liability in your particular case. In fact, taking legal action against a multi-billion dollar company such as Starbucks is no easy task, as these companies are usually represented by the best defense lawyers in their respective state. That is why it is highly advised to consult with a Salt Lake City slip and fall accident attorney to find out more about your legal options to recover compensation. Contact the Jardine Law Offices, P.C., for a free case evaluation today. Call at 801-350-3506 or complete this contact form.